Below is the text of the speech made by Eric Pickles, the then Secretary of State for Communities and Local Government, at the Queen Elizabeth II Conference Centre in London on 5 September 2013. I want to start by thanking you for work most conscientiously done. This is a unique group to be addressing – as senior officers and senior councillors many of you have direct experience of walking the streets of your city or town, not knowing if you would be there the next day. Or whether it would have gone up in flames. Whether just one careless incident would undermine years of painstaking work. If you’ve experienced that I don’t think it ever leaves you. As councillors you instinctively understand the importance of the clean up operation: sweeping up the glass and cleaning up the graffiti to minimise the impact. But you also understand the effect such incidents have on individuals and the community. These are attacks on our very way of life. We are fighting something entirely un-British – something utterly alien – and for me there is a fundamental test. If a woman cannot pop down to the shops for a pint of milk or a bag of rice because she’s worried about getting lewd threats; because she’s afraid she might be jostled and jeered; because she’s scared she might be spat on – no matter how many committees we set up or programmes we run or reports we write, if there are people in our communities too frightened to venture beyond the doorstep, hesitating simply because they are wearing a headscarf, then we have failed. Before the election I had great pleasure in going to Paris with Caroline Flint, Vince Cable and Rita Chakrabati to address a conference of European students.It was around the time the French were debating banning face veils in public. I said to the students that this was an absurd thing to do. I can see circumstances in which covering the face might be unsuitable to the situation, but people going about their private business should be left to do so. I have to say that many of these young people including the French were rather shocked by my view and wanted me to justify it. I can be a little blunt sometimes and I simply said, look, we’re not far from the Champs-Elysees and it’s not so long ago that the Gestapo strode through the streets of Paris seeking out Jewish people. How can the nation of liberty, equality and fraternity have forgotten where intolerance leads and be prepared to contemplate such a restrictive view? Here in Britain tolerance, decency and respect for others are embedded deep within our psyche. Our warmth and hospitality, our willingness to welcome other views and embrace other ways of life are what has made Britain a beacon of hope around the world. We also undermine them by encouraging communities to come together around solemn occasions such as Remembrance Sunday or what we’re about to do to commemorate next year, and honour those from around what was then the Empire who fought and died for our country. Or to work together to tackle local social problems as in the near neighbours programme or Together in Service. Because when people work collectively together the emphasis is on what we have in common – shared values and shared goals – not on difference or division. And we also undermine the extremists by encouraging our fellow Muslim citizens to engage in the wider community, ensuring that everyone has the English they need to play a full part in their community. And through initiatives like the Big Iftar where mosques threw open their doors. After the horrific murder of Drummer Lee Rigby in Woolwich – a young man in the prime of life wearing a ‘Help for Heroes’ t-shirt – Muslim communities were united in revulsion and shouted the loudest of all of us to say not in my name. In the wake of this senseless death there were a number of attacks on mosques, but still the community was resilient. Still they refused to be cowed or put in the corner – instead they said firmly: we will open our doors, we will welcome in our neighbours and we will work with our community to build a better nation. We saw that in York where the Muslim community responded to EDL provocation as any Yorkshireman would do – with a cup of tea. Showing compassion and courage and generosity – a very English gesture and an act of pure genius. Meeting hatred and anger with friendship – completely defusing the situation. What a gesture of sincerity, which did so much more good than the self indulgent and pompous posturing of groups like the UAF who are more interested in stirring up further trouble than in actually solving problems. In Muswell Hill you will recall that their community centre had been burned down, but when I went to take part in the Big Iftar with the local Somali community, there they were inviting in their neighbours to show what Ramadan is all about and showing true British grit. Not just integrated but an integral part of the community. And I also saw it in Gillingham when after another grotesque attack on a mosque other community leaders including councillors all came out not only to condemn those actions entirely, but also to support the Muslim community. I went to share in their Eid celebrations. It was a true privilege to see people of different faiths standing shoulder to shoulder together. That is where we gain strength – by working together to solve common problems and including everyone so that the faces of our neighbours become familiar and their customs become understood. It’s especially important for young people – so they grow up open-minded with a strong sense of personal accountability and social responsibility. This is why we are backing the work of Youth United – giving young people a positive place to belong and creating more places in our great British institutions whether the scouts, the sea cadets or the St John Ambulance. The work we are doing together – the work that each of you do, every day, wherever you live will lead us on the path to a stronger society. But the alternative route – the route offered by the extremists – ultimately ends in the villages of Srebrenicia. The old century was riven by discord – scarred and despoiled by the Holocaust – but we have a chance in this century. We can be determined to learn the lessons, to set aside hatred and ensure all people of goodwill work together. That instead of those who preach hate, or those who shout slogans, we will listen to the voices of peace and hope. Of a people comfortable with differences – accepting of others and united in Britishness. Below is the text of the speech made by Eric Pickles, the Secretary of State for Local Government and Communities, to the Naz Legacy Foundation annual reception held in the Churchill Dining Room of the House of Commons, in London, on 30th April 2014. This very sad week we have thought a lot about teachers and their dedication to our country, given the tragic news of Anne Maguire. I think Naz knew that classrooms are a place to bring people of different backgrounds together and pursue common goals. This is the messages that the foundation established in his name and continues to promote today. Being a kind citizen, a helping hand, or a friendly face shouldn’t just fall to the Naz’s of this world, but to each of us who care about our community. As a government, we cannot force cohesion, or compel people to spend time together. But as Naz did, and what we can all do, is create the right conditions to break down barriers and encourage communities to come together. A particular focus for me has been encouraging faith communities to work together, rather than concentrating on their own communities. Together in Service has not only funded some great projects, but I think it has sent out the right kind of message. We achieve more by working together than by doing things separately, and we are offering small grants to ramp up their impact and create closer ties. The Near Neighbours scheme is all about building relationships across faith boundaries, and it has seen a fantastic response. Almost everyone taking part has said that they feel more connected to their community. As supporters of Mosaic, the Naz Legacy Foundation are enabling youngsters across the country to find inspiration in enterprise. To discover, and achieve their true potential, no matter what their background. It’s great to hear the Foundation’s next project, the Diversity Programme, to introduce culture and arts to kids who may not otherwise have the chance or that experience. This is something Naz did for children in his own classroom, and now thousands of others will benefit from this too. It can be daunting to take on a role in communities. You might not know where to start. But by opening up a discussion about the sort of communities we want to live in, or simply by encouraging folk just to come together, we are helping to reduce that fear of taking on a new role in society. Of course, we have great role models in the Naz Legacy Foundation, enablers of education, mentoring, and training. You take the memory of a great man and remind us of the lengths we should all go to to make our communities thrive. I am delighted this evening that the Prime Minister has asked me to present a Big Society Award. This is in recognition of the Foundation’s hard work, to inspire young people to strive for excellence, and to play a full part in their community. It is well deserved, and it is my pleasure to present it. 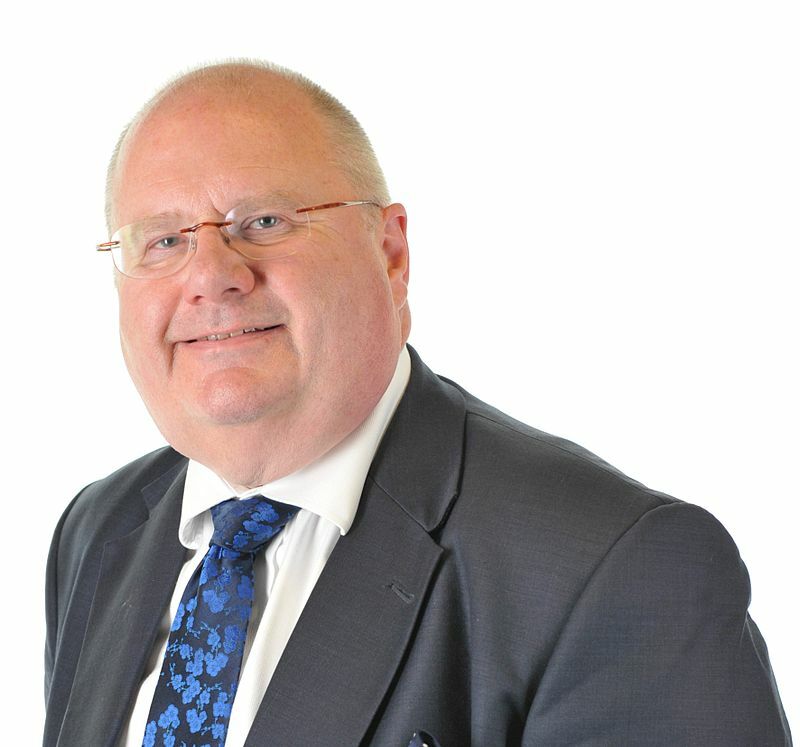 Below is the text of the speech made by Eric Pickles, the Secretary of State for Local Government and Communities, at the Baha’i Faith Festival Celebration held at the House of Commons on 30th April 2014. I am an enormous admirer of the Baha’i faith. All faiths in this country put a lot back into their communitiy, but none more so than Baha’i. In terms of looking out for the vulnerable, in terms of wanting to make friends with people of different faiths, there is always a Baha’i in the mix. What we all have in common is our basic humanity which binds us. It is this commonality, this ‘oneness’ of the human race, that inspires the Baha’i faith. Whilst the Baha’i religion is relatively young, your message of harmony and unity ripples down through the ages. It creates an opportunity for all, rejecting all forms of prejudice, and bringing all faiths together to celebrate what we have in common, rather than focusing on our differences. These are the qualities we strive to promote in the UK, and luckily for us, there are over 10,000 members of the Baha’i faith in this country, each with the same message of optimism and hope. Whilst you may not be huge in number, you have an enormous impact. You threw yourselves behind projects like A Year of Service, got yourselves involved in the Big Iftar, and continue to be a shining presence in inter-faith projects around the country. Your knack of reaching out to people of all faiths, and frankly, those of no faith, and promoting ‘one-ness’ is very inspiring, and a little humbling. This one-ness in the human race, the one-ness of religion – through your Divine Plan, I know will continue to inspire and motivate young people, and ensure the Baha’i Faith will go from strength to strength, continuing to bring people together here and around the world. As you celebrate this day of divine felicity, I want to say thank you for making the UK a more tolerant, a more cohesive, and a more cheerful place. I want to wish you all a very happy Rizwan!